British Land and Singapore’s sovereign wealth fund GIC have got the green light for a landmark office complex rising to 32-storeys at the Broadgate office development in London. A four-block redevelopment scheme designed by Arup will replace investment bank UBS’s London headquarters. 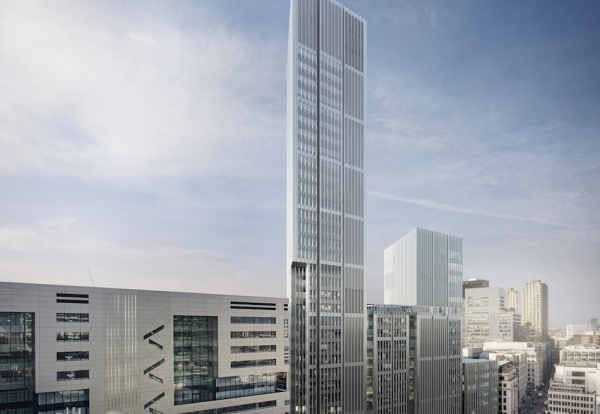 Plans for the 154m tower were initially greeted with protests from heritage groups about the demolition of the existing building at the 1980s-built Broadgate development. The landmark building at 2 and 3 Finsbury Avenue Square comprises four unified elements offering 550,000 sq ft of commercial space for up to 5,000 office workers. The proposals are part of the evolution and transformation of Broadgate, which saw Mace deliver the first major rebuild to create a new home for UBS. Robert Samuel, head of office development at British Land, said: “We are delighted that the City of London has resolved to grant planning permission for 2 and 3 Finsbury Avenue Square as part of the future transformation of Broadgate as an integrated piece of the City. “It has a diversity of uses, responding to evolving occupier needs and provides a unique blend of public spaces, restaurants and shops linking the northern City to Shoreditch and Tech City,” he added.